Similar to page rank there is another term naming “mozRank” which judges a website page and provides a rank in the scale from 1-10. Page rank is mostly known by lots of people but very less know about mozRank. The people who are generally dedicated to SEO, know this term. This rank is as important as Google Page rank. MozRank is a tool created by SEOMOZ. This tools provides a rank to website ranging from 1-10 and is generally said that is more accurate than Pagerank As this rank is updated regularly whereas the Google Pagerank is updated after every 3-4 months and 4 times a year. This is the reason people generally say that it is more accurate. Website rating “3” is generally called average website. As page rank is of up most importance similarly Mozrank also has lots of importance. The google might not rank your site up on the basis of mozrank but this rank provides a deeper view and rating of your website. So, you must also concentrate on this tool. The Mozrank basically provides an idea that what your page rank should be if updated regularly. 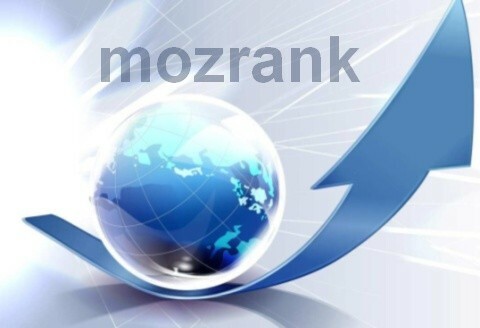 The mozRank can be increased effectively by increasing the links to the website. More are good quality links to your website more will be your Mozrank. So, start increasing backlinks to your website. As you know that the page rank also depends on the number of quality links to your website. So, increasing links to your website, you will be able to increase both page rank and mozrank. The second thing that help sin increasing your Mozrank is use of seomoz toolbar or seomoz plugin. The seomoz plugin upgraded version generally comes paid but is of utmost importance in increasing your rank. There are ton of free tools available as well that provides you with the thing to do to increase your rank. You must follow as much SEO tips you can. This will surely increase your mozrank by huge amount. Basically you can bring your mozRank to 3 to 5 by doing some effort and bring the rank above this is dependent on you, that how much you are dedicated to updates in SEO. So, at last I would like to say that both Page rank and mozRank are of utmost importance and you must give your time in increasing and searching about both the things. Do you have some more points to add?? Comment and provide it to others.